A 1,000 pound tree broke her neck; life's challenges tried to break her spirit. She rebounded with courage! Look Up—Find the upside in any situation. My life changed by taking out the trash. On a normal, Sunday afternoon, a thousand-pound tree limb struck me, breaking my neck and leaving me unconscious in the driveway. Waking up five days later in the ICU with my health in peril and prognosis uncertain, I was scared, but that was just Act One. Life decided to simultaneously hit me with more. Act Two: I discovered my husband’s double life. Act Three: I received an unexpected call from my employer forcing me to resign. I call this a When All Balls Drop moment. 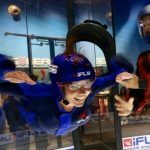 After neurosurgery and nearly a year of living in an immobilization brace, physical therapy, and counseling, I was told that I was healthy enough to return to a normal life. However, I needed to prove it to myself. 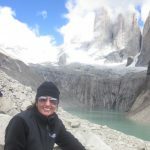 I decided to test myself fully: physically, mentally, and emotionally by embarking on a solo walkabout to near the end of the earth: Patagonia, Chile and Argentina. hikes, I replayed not only the last trying year, but my life prior to the tree. At the summit of my final hike at the base of the towers, I closed a chapter of my life and started architecting a new one, Life 2.0, which would include becoming an author and inspiring others to overcome their obstacles and live an adventurous life. I’m proud to share that I’m a living example of Post-Traumatic Growth (PTG). There is an opportunity to use any loss as a springboard for positive growth and change. You don’t have to have a thousand pounds of anything hit you over the head to embrace a new, improved, truer version of yourself. The tree taught me a crucial life lesson on the power of perspective. I created a mantra, Look Up, to share with the world. These two, powerful words remind us to: 1) Be in the moment, appreciating the beauty around us as well as hazards 2) Find the upside in any situation. physical, mental, emotional, or a combination of all three. It can be trying a new sport, going on a blind date, writing your first blog post, or traveling to a familiar place, but in a different way. 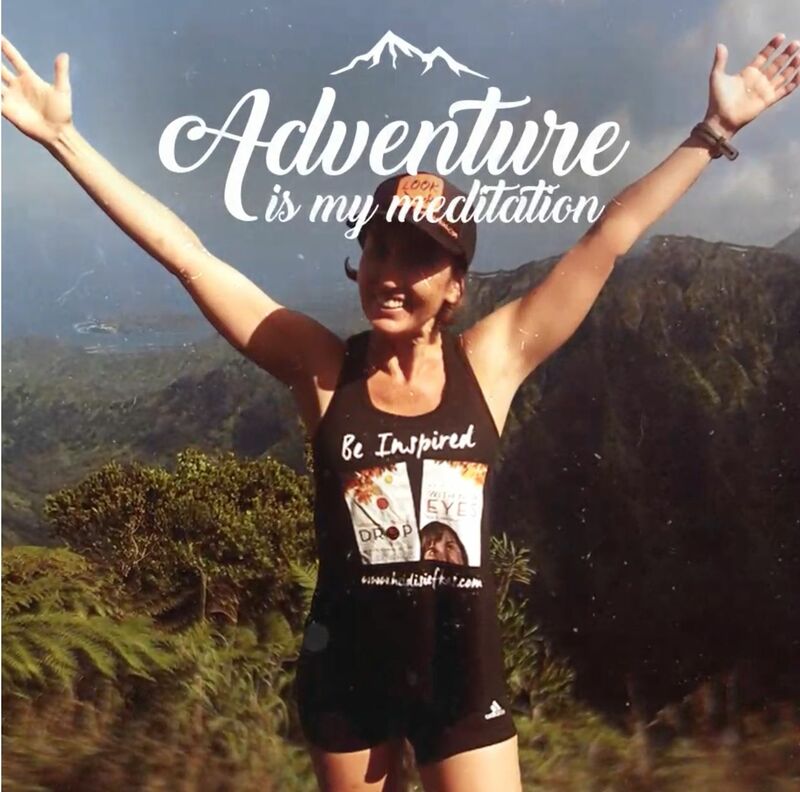 I believe so intensely in adventure that I wrote in my second book “Adventure is my meditation.” So if you want to change your life, overcome roadblocks, and take your life to the next level, I suggest using Look Up daily, heading for an adventure frequently, and repeat when necessary. To follow Heidi’s next adventure click here. We’d love to have you join the conversation. Has a physical or emotional challenge set you back? Might you share any words of wisdom with the Tribe? Please comment below—you never know who you might inspire or where it might lead. Thank you, Heidi, for sharing my crash course of Life 101! My story proves that Plan B’s and collisions can be some of your best teachers. I look forward to reading others’ stories and plans for adventure. Such an inspirational post! I love the mantra. Taping it to my bulletin board! So glad you survived such a harrowing experience. Yes, here’s to looking up, in all we do! Thanks for stopping by Ann. I was hoping you and Heidi S. might meet. You both have such courageous and adventurous spirits. Incredible – BRAVA! I look forward to more of your courageous messages! Pamela—Thanks so much for stoping by and for the comment! I too look forward to her courageous messages and to her upcoming adventures. I’m delighted to see so many connecting to my story and Look Up. After living the experience and then listening/reading to others’ triumphs after extreme setbacks, I know for sure that we all have the power to be in the moment & tap into perspective regardless of the situation/location/timing. Here’s to looking up! So true Heidi. I’ve also found it interesting that when I start telling my own story others open up about challenges they have overcome. Love that photo with the cigars! I call this photo, The Girls’ Smoking Section. Heidi I have tears in my eyes! I found adventure and travel after divorce too. Sometimes the hardest situations bring the best changes! So true Cathy! What you and I have experienced as well as countless others after a tremendous loss is an example of Post-Traumatic Growth (PTG). We all can use the divorce, trauma, accident, or other as a springboard for change. 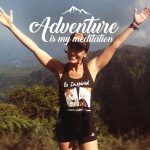 I embraced adventure after my experience to continue to check-in because we are all works in progress. We need to evolve. Cathy—good for you for moving beyond something hard and finding “the best changes.” It was certainly true for me and I suspect all of the Gutsy Goddesses here. I’m grateful for your thoughts and hope you will continue to comment. I often say we never know who we might inspire or where it might lead. When we go through divorce and other challenges it helps to know we are not alone and to see how others fared.